One of my old pouches gave up on me a few days ago. The drawstrings snapped, rendering it pretty much useless. 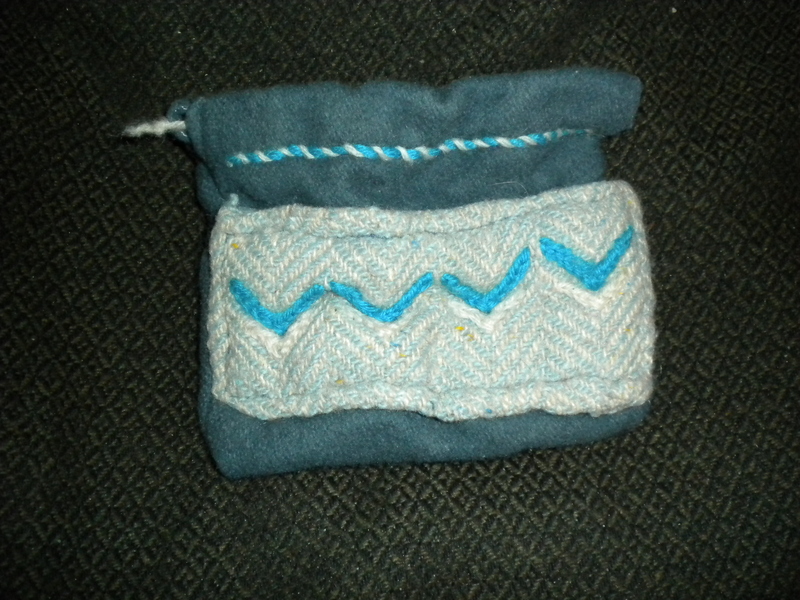 The thing is, I really liked the pouch. It may be odd, but I like the decoration on it – simplicity is king, I always think. So I was thinking of ways to re-use the decoration. After my recent purchase of Agnes, I noticed that between projects my heddle, shuttle and beater could very easily go missing. 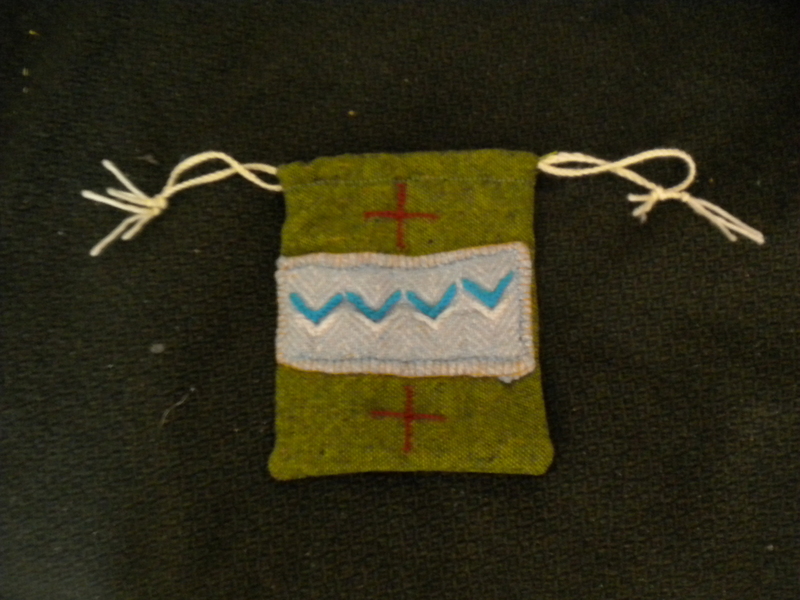 It’s made of green wool, with 100% wool plaited drawstrings and wool decoration from the old pouch in the middle. It looked a bit bland, so I decided to embroider two red crosses on it and do a border in blanket stitch with yellow linen thread. I don’t know how authentic it is, as it’s used crewel wool, chain and blanket stitch, and french knots. I was really quite proud of myself with this, as I hand stitched all of it in linen thread – normally I just get the sewing machine out and have done with it in five minutes. This time I thought I would put some effort into it, and I’m pretty proud of it. It’s become a bit of a trend with my crafting recently – I seem to actually be spending more than half an hour on small projects, and I think that’s because I’m trying to be as authentic as I possibly can. I was even toying with the idea of hand-stitching my peasant’s dress in linen thread! When that project materialises I shall let you know what happens with it.